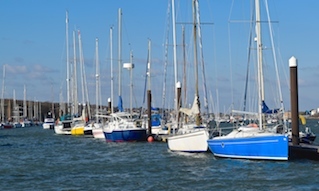 Cowes Harbour hosts six main small keelboat fleets that race regularly during the season. Racing in the Solent is always interesting as no two races are ever the same. 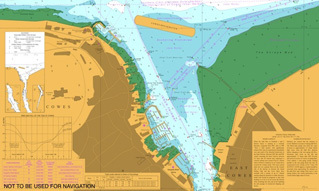 The unique tide and wind patterns combined with the numerous courses, which the race committees from the various Cowes yacht clubs set, conspire to produce some excellent racing. For over 30 years the International Etchells Fleet has been the world’s leading international one design keelboat outside of the Olympic classes. Family teams, young talent, sailing greats and Saturday afternoon club sailors all enjoy racing in Etchells. Thirty feet of pure sailing machine, the boat planes downwind when it’s windy and slips along in the light. The Etchells is an exciting, friendly class to join with some of the most competitive racing available. Etchells are trailerable, easy to maintain and light enough to dry sail. The reward is a modern racing machine with the very best performance. Based on the Olympic 5.5s of the late 1950s, the Daring was launched in 1961 built in cutting edge GRP. They are still the most popular one design yachts enjoying excellent racing out of Cowes. The Daring is a robust yacht and gear failures or breakages are rare. However, Lallows of Cowes hold spares and a damaged Daring on Saturday will be seen racing in the fleet the next day having been repaired overnight if necessary! The Daring’s special one design rules allow the Class to continuously improve the sail and rigging plan by adopting the latest designs and high quality materials. This attractive yacht offers competitive yet affordable racing in a unique and challenging environment. For those who want to know that every time they set sail they are pitting their wits against those of the next crew and not their boat, the Daring provides the ideal solution. 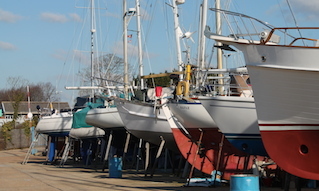 Cowes is home to a small but thriving Dragon fleet. Originally designed as a small cruiser-racer by Norwegian Johan Anker in 1929, the Dragon was an Olympic Class from 1948 to 1972, and is a fast, rewarding, and exciting boat for her three/four person crew. The Dragon is the largest one design keelboat fleet in the world with fleets in 26 countries worldwide, and has a comprehensive international regatta circuit which allows year-round racing. 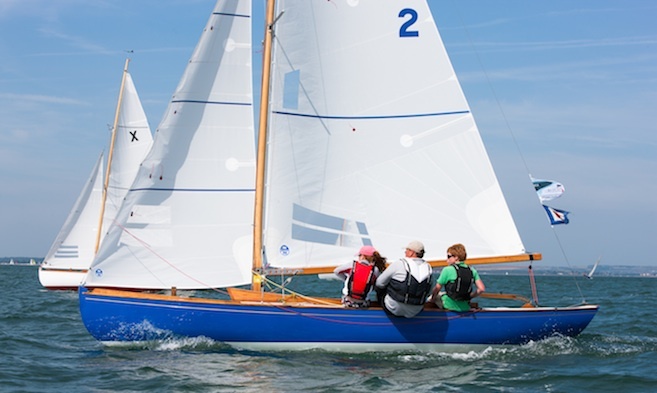 The Duke of Edinburgh famously owned a Dragon called Bluebottle (presented by the Island Sailing Club) in which he was a regular participant in Cowes Week. The design has always attracted a passionate, illustrious audience. Although an historic class, the governing body has overseen a gradual modernisation and Dragons are now being built using modern materials and methods. The X One Design (XOD) was designed by Alfred Westmacott on the Isle of Wight and first raced on Southampton Water in 1911. Today, the X One Design Class is thriving with more than 140 boats of all ages competing on equal terms. Including the Cowes division, there are six active divisions around the Solent between Chichester Harbour in the east and Poole Harbour in the west. The XOD fleet has attracted many experienced helms and crew and the standard of sailing at the front of the fleets is undoubtedly high. Whenever you sail you can be sure of good competition. Boats are equal, turnouts are good and races are keenly contested throughout the fleet. 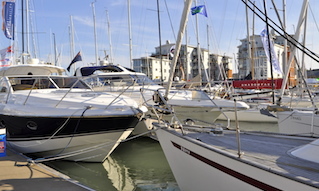 The Cowes Division is continuing to grow and turns out in good numbers all through the season. 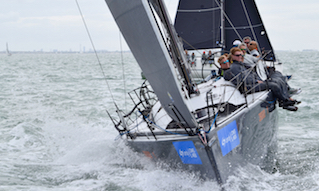 Easily the largest class in Aberdeen Asset Management Cowes Week they are an enduring, popular and relatively inexpensive racing boat. The Flying Fifteen came off the drawing board of legendary designer and well-known Cowes sailing personality Uffa Fox in 1947. Flying Fifteens are an exciting two person racing keelboat with the characteristics of a dinghy. The boat planes (you get wet), it’s exhilarating, small enough to trail to open meetings, there is competitive fleet sailing, it involves a great bunch of people young and old, and you have fun on the water and ashore. Flying Fifteens have long been associated with the Cowes Corinthian Yacht Club, from which the Solent fleet is generally dry sailed. Designed by Bruce Kirby, of Laser dinghy fame, the Sonar combines sparkling performance and high-level one- design competition with comfort and safety suitable for family and friends. This is a keelboat that thinks it’s a dinghy when it comes to performance while offering the security and flexibility of a larger boat. Sonars are crew friendly, and can be raced competitively with three to five crew in all conditions. The Sonar has become the one design keelboat of choice for a growing list of sailing clubs worldwide; locally, the Island Sailing Club has a fleet of nine Sonars for hire. The Sonar was adopted as a Paralympic class of yacht, partly because of the excellent cockpit layout, and Cowes sailor Andy Cassell won gold in a Sonar at the 1996 Atlanta Olympics.